Today we celebrate the ladies – the really, super scary ones. We are counting down our favorite female villains from horror. Now, we’re not talking about the great supporting villains – the ones who had villainy help – like Julia (Claire Higgins) from Hellraiser or Mrs. White (Piper Laurie) from Carrie. They are outstanding and terrifying, but they’re not the main antagonist in the film. Nor are we including the terrifying protagonists – not Carrie White (Sissy Spacek) or Ginger (Katharine Isabelle) from Ginger Snaps, or May (Angela Bettis). No, our goal is to find the Freddy Krueger, the Hannibal Lecter—or maybe even better. That sweet little face, those plump cheeks, those dark locks, those shadowy circles under her eyes, that disappointed frown, that penetrating stare…young Daveigh Chase commanded attention as the vulnerable/terrifying girl in the well. Her ability to be both the lost child you want to save and the horror that must not be unleashed unnerves. Yes, that bewigged man who crawls out of the TV wearing her waterlogged dress helps with the overall effect, but the wee Chase is haunting. An Oscar winning turn from the magnificent Kathy Bates brings this character to life in the most terrifyingly realistic way. 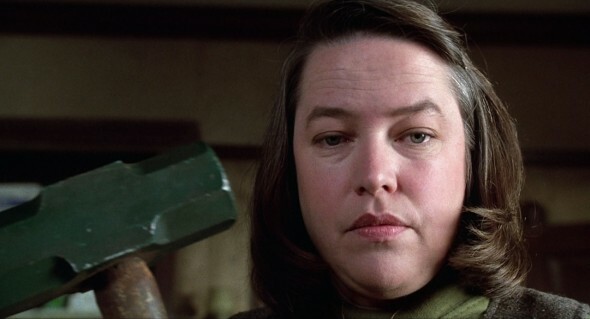 Her sadistic nurturer Annie Wilkes – rabid romance novel fan, part time nurse, full time wacko – ranks among the most memorable crazy ladies of modern cinema. She nails the bumpkin who oscillates between humble fan, terrifying master, and put-upon martyr. Plus she’s handy with a mallot. Whatever Lola wants, Lola gets. What an absolutely bizarre character and what a brilliantly wrong-headed performance by McLeavy as Daddy’s little prom princess. She’s funny, malicious, utterly insane with some daddy issues we just don’t need to get into here. Just keep her away from the power tools. Eihi Shiina’s elegant beauty is such a perfect match for the brittle psychology of Asami, a delicate sociopath with real betrayal issues. Director Takashi Miike is no stranger to dismemberment and disemboweling (Ichi the Killer, anyone? ), but because of Audition‘s serious tone and Shiina’s meticulous approach to the insanity, she leaves you shaken. Beatrice Dalle’s predatory performances, colored by sadistic humor and an explosive temper, is astonishing. Relentless, pitiless, and inventive, she stalks the enormously pregnant Sarah (Alysson Paradis) like a tiger – one who really knows how to do damage with a pair of scissors. This woman can take punishment, but what she can dish out is positively inspired. Her unpredictable mastery of bloody havoc wreaking puts her at the top of our list of female villans we seriously, truly hope never to run into ourselves.